It's Day 4 of my '7 Days of Essence' series already! This week is really flying by. If you missed my previous posts in the series then the links are at the bottom of this post for you. 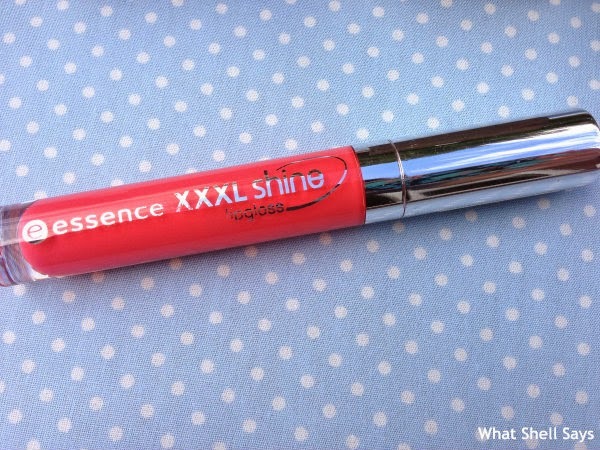 Today I'm featuring the Essence XXXL Shine Lipgloss* in shade 'Bright Side of Life'. I was instantly drawn to this shade as I'm a little bit obsessed with all things coral at the moment and this is a gorgeous bright coral with a subtle gold shimmer which I think would suit any skin tone. It has the typical lipgloss casing - a clear tube so you can easily see the colour of the gloss and a lid with an applicator stick which is the perfect size and shape for applying the gloss. It has a lovely fruity scent to it which I think is a nice added touch. The texture of the gloss is thick and gel-like without any stickiness. I'm not usually a big fan of lipglosses, mainly because most of the ones I have tried tend to have a sticky consistency, but this one manages to avoid that. It feels moisturising on my lips which is great as I tend to get dry lips in the colder months. This lipgloss also does exactly what it says on the tin - it SHINES! Not in a way that makes you look like you're wearing a glittery gloss from a 7 year old's Disney make up set, but in a way that gives your lips a delicious wet look and makes them appear fuller. I think it also has really good staying power for a lipgloss and it even leaves behind a faint stain when the gloss wears off. 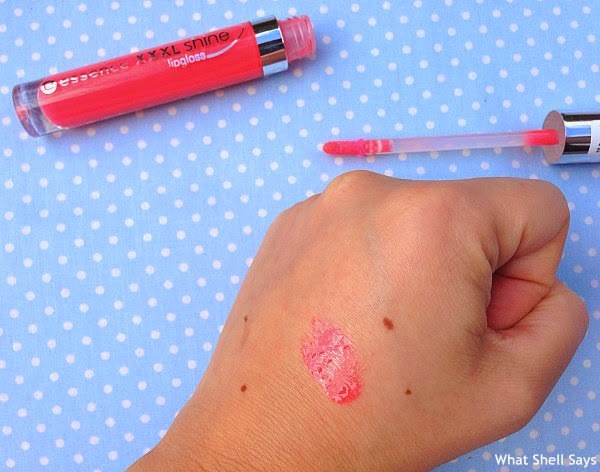 This gets a big thumbs up from me and I recommend it if you want pout-worthy lips! At only £1.80 it's another total bargain from the Essence Cosmetics range.